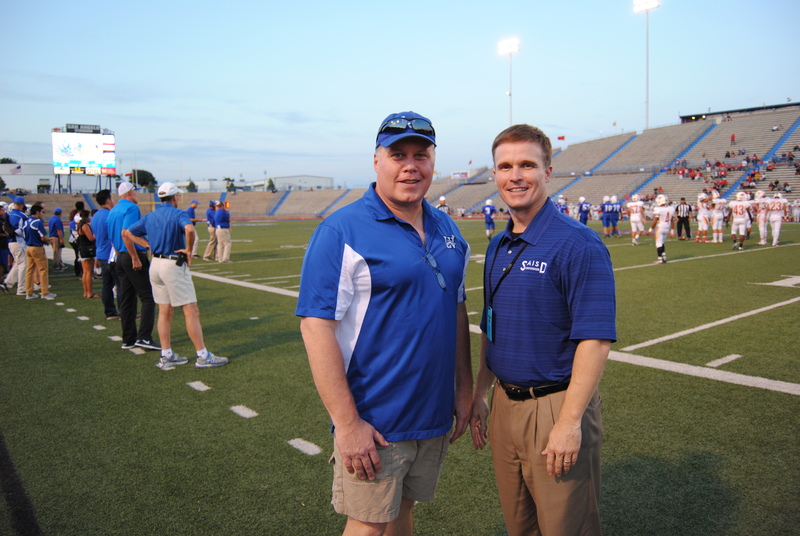 The sounds of cowbells and cheers filled the air of San Angelo Stadium on Friday night as Lake View High School hosted the Lubbock Coronado Mustangs for the Chiefs’ homecoming game. Lake View students, mums and garters in tow, leaned against the rails of the bleachers cheering on the football team while many of the littlest fans sat in their parents’ laps, some holding pom-poms or dressed in tiny Lake View Chiefs t-shirts. Down on the field, SAISD’s new superintendent, Dr. Carl Dethloff, cheered on the Chiefs alongside his wife and Executive Director of Schools and Student Services, Steve Gill, and school board member, Max Parker. The three let out a yell when the Chiefs scored their first touchdown of the night during the first half, bringing the score to 31-7, Mustangs. 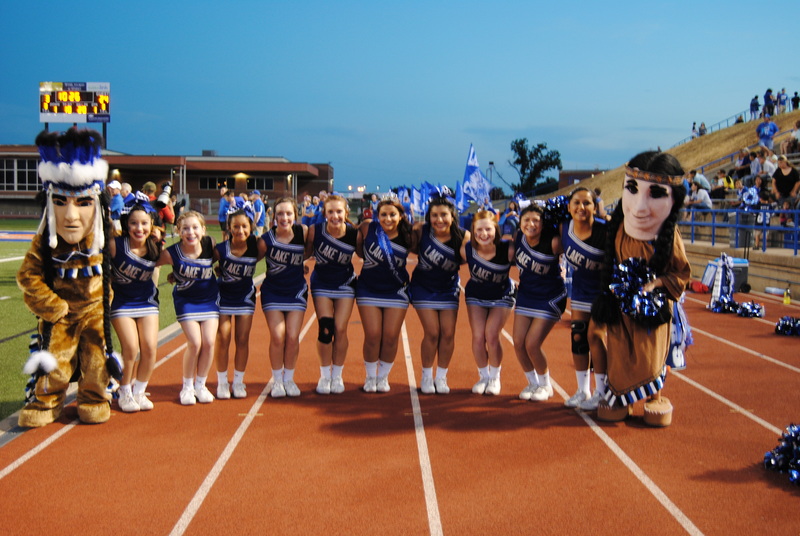 Lake View’s homecoming queen and cheerleading captain, Macy Moreno, was also down on the field Friday night. She proudly wore her crown and sash with her cheerleading uniform as she supported her team. Moreno also said that she felt “honored” to be recognized in such a positive manner by her classmates. She plans to graduate next May, and continue her studies at South Plains College after which, she hopes to attend Angelo State University to fulfill her dreams of becoming a physician’s assistant. Lake View alumni, Michael Fox, sat atop the stands cheering on his alma mater. Fox, who graduated this past May, is a San Angelo native. While he moved away from San Angelo for a short time, he attended high school in San Angelo for all four years, spending three of those at Lake View. Three of the youngest Chief fans belonged to Coach Hank Casey, a four-year veteran of the Lake View Chiefs. Casey and his wife Katie are proud parents to triplets, Drew, Audrey and Laine, and are expecting baby number four later this year. 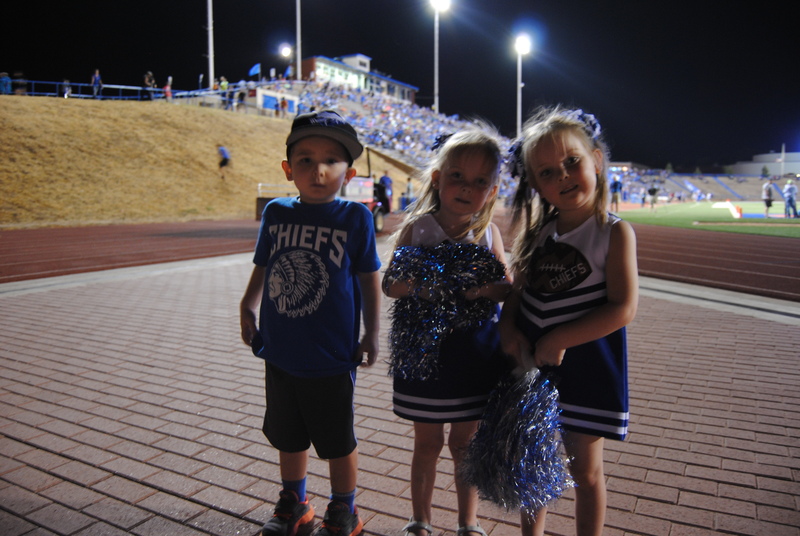 The triplets, donning their mini cheerleading outfits and Chief t-shirts, ran up and down the grassy mounds of San Angelo Stadium, blue and white pom-poms in their little hands, before heading back to their seats for the second half. 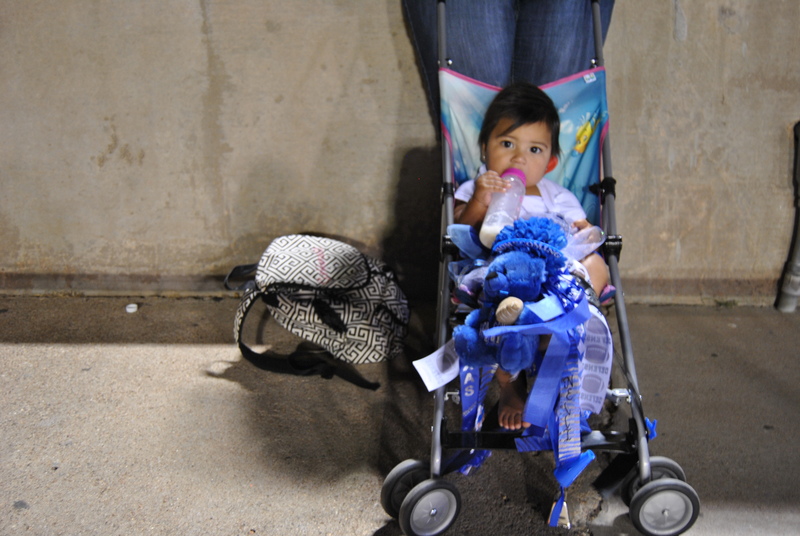 At the edge of the stadium stood Asia Gregory and her young daughter, Gabbanelli, in her stroller. Gregory, a graduate of Lamesa High School, was there with her younger brother who plays on the Lake View Junior Varsity football team. Gabbanelli, wearing a mum almost as big as her that her grandmother made for her, sat and smiled in her stroller as Chief fans walked by.